What really motivates you when choosing auto insurance? Is it strictly price, features, flexibility, or a combination of all of these elements? Whatever drives your decision, insurance carriers appear to be amenable to tailoring a policy to fit your needs while fitting into your budget at the same time. However, as the old adage says “nothing in life is free” and this certainly applies to auto insurance rates. This is where the saying “you get what you pay for” holds true. 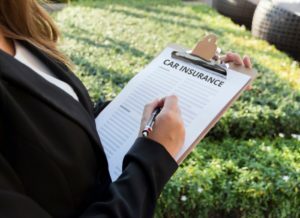 So when you are choosing an auto insurance policy, keep in mind that there may be features that may be going unaddressed. This post will highlight a few. Confirm what you can receive after your car is totaled. – Before signing a policy, it doesn’t hurt to ask about how the insurer will calculate the value of your loss in the event your car is declared a total loss. Better yet, ask about whether you are able to challenge the company’s valuation so that you don’t get shortchanged in the process. Talk over your choices with an attorney – Additionally, talking over your insurance choices with an experienced attorney can help you understand what you would be entitled to as a matter of law with the choices you have made.